When the project was moving forward with director Cary Fukunaga at the helm, Will Poulter (The Maze Runner) was attached to play Pennywise. However, The Hollywood Reporter reports that he was forced to drop out due to scheduling conflicts, after the search for a new director pushed the movie by a year, making the actor no longer available. 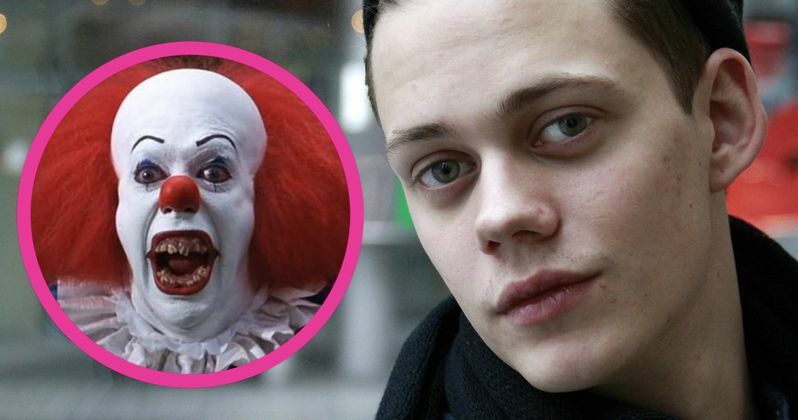 The studio was reportedly torn over whether to go with a younger actor like 25-year-old Bill Skarsgard or an older actor like Kirk Acevedo or Hugo Weaving, who the site reveals was also up for the role. This report also reveals that other cast members include Jaeden Lieberher, Finn Wolfhard, Jack Dylan Grazer, Wyatt Oleff, Chosen Jacobs and Jeremy Ray Taylor, but no details were given for their roles. IT is based on Stephen King's iconic book, which will be split into two movies. The story follows a group of seven children who were terrorized by the eponymous being that exploits the fears and phobias of its victims in order to disguise itself while hunting its prey. The first movie will focus on the children, with the second focusing on the same characters as adults, as they reunite to defeat IT once and for all. Gary Doberman wrote the most recent draft of the script. Andres Muschietti (Mama) is directing, replacing the departing Cary Fukunaga back in July. We reported last May that the movie will be shot in New York City, but another report from February revealed that the adaptation will be R-rated, with shooting now set to begin in California at some point later this year. Roy Lee is producing alongside Barbara Muschietti, Dan Lin, David Katzenberg and Seth Grahame-Smith. When Bill Skarsgard does officially sign on, this will mark his biggest movie role to date. He has previously starred in Simon & the Oaks, Anna Karenina, Victoria and The Divergent Series: Allegiant. He will reprise his role as Matthew in the Divergent franchise finale The Divergent Series: Ascendant, which hits theaters on July 9, 2017. He is best known for playing Roman Godfrey in Netflix's horror series Hemlock Grove.